Curried Lentil & Sweet Potato Stew - GetCooking! Bob’s Red Mill’s – Curried Lentil & Sweet Potato Stew recipe. 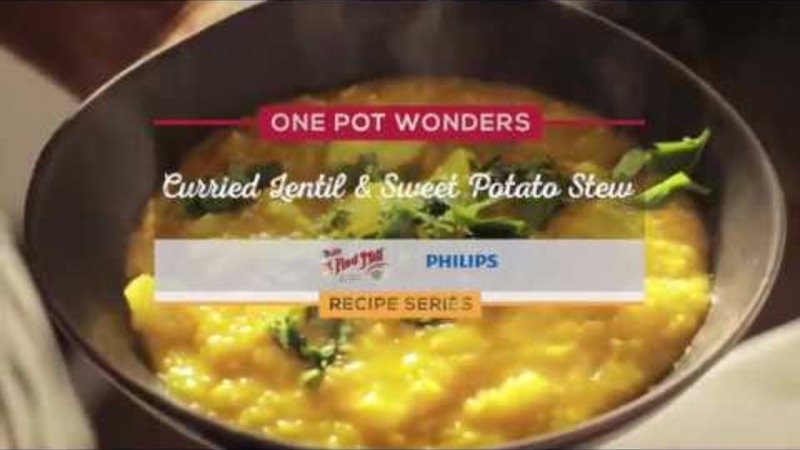 We love this Philips Multi Cooker Curried Lentil and Sweet Potato Stew! It’s vegan, gluten free and a perfect addition to your cold weather go-to recipe collection. We’d love to hear your feedback on this video recipe format in the comments section below! If you used this video to make Curried Lentil & Sweet Potato Stew, please tell us how it went! View the original recipe notes here: Bob’s Red Mill’s – Curried Lentil & Sweet Potato Stew.